John Leo, Winemaker at Clovis Point and Leo’s Cellars. Photo care of LI Wine Council. 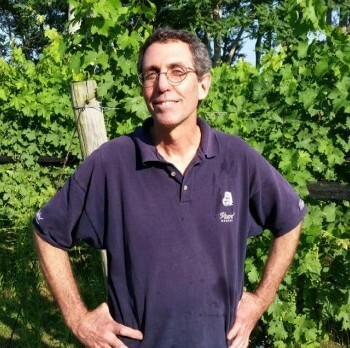 North-Forks would like to introduce our readers to John Leo, Winemaker at Clovis Point and his own label, Leo Wines. Clovis Point is located on Main Road in Jamesport, There are often events like art shows and live music to be experienced on the weekends. 1. Please tell us a little about yourself: Your name, the winery/wineries where you make wine, how long you’ve been making wine. John Leo Winemaker at Clovis Point since 2004. I came to the East End of Long Island in 1994 and started making wine for myself under my Leo’s Cellar moniker in 1999. 2. What was your first experience with wine that made you see it as something more than just a beverage? Growing up and having Sunday meals with my extended Italian American family, homemade red was always a part of the meal, and enjoyed by grandpa and grandma and all the aunts and uncles. As children we were allowed to have a small glass of wine mixed with cream soda. I knew then that wine was food– or at least an important part of a good meal. 3. What is your favorite part of being a winemaker? Walking the vineyard throughout the year, gauging the developing progress, tasting berries when ripeness seems immanent, and hand harvesting clusters that nature has been generous with. Then again, blending trials are also nicely challenging and ultimately satisfying when things work out. 4. What is your favorite part the wine making process? Every step, and every decision, is important. Perhaps pressing off a successful ferment is my favorite step… tasting for the cut and anticipating the possibilities. 5. What is the biggest challenge you face as a winemaker? Vintage variation. In the years where the grapes don’t ripen perfectly choosing which actions to take, or not take, can be difficult. And we only get one chance per year to do the right thing. 6. Which is your favorite variety? Locally or anywhere? As a believer in the value of blending, it’s hard to choose any single variety. I really like Merlot for its consistency and depth, and how it can be the base of so many good blends. Cabernet Franc is especially challenging to work with which makes it especially satisfying to drink when I get it right. 7. What should we be looking from you in the coming year? The 2017 Sauvignon Blanc was just bottled and is something I’m very happy with, and should be drinking well this summer. The 2015 Clovis reds– the Cab Franc, Vintner’s Select Merlot and Archaeology red blend– are all about ready for release and well worth seeking out. 8. When you’ve not making wine, how do you have fun on the North Fork? Eating good food, gathering with friends (to taste wines, usually!) and walking the beaches and the vineyard are all pleasures I look forward to. 9. If you weren’t making wine, what would you want to be doing? Hard to imagine. Perhaps traveling the world and writing long rambling stories about it… so long as there were wine on the table at the end of the work day. 10. If you could say one thing to the people coming to taste your wine, what would that be? Thank you for your interest and support! Then I would avoid telling anyone what to expect, but I would suggest they take at least three or four thoughtful sips of my (or any) wine before making a judgement. I value balance and subtlety and completeness in a wine, and the first sip doesn’t always tell the whole story. 11. Anything else you’d like to say or add? I’m happy and proud to be part of the East End wine industry, and hope to continue to hone my craft and contribute to our success.